I got carried away with this beautiful balloon ombré. 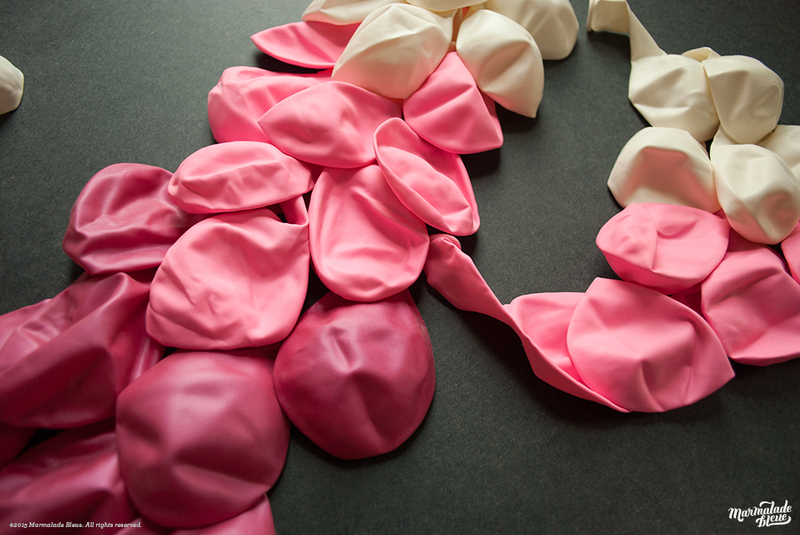 Puffy pillows of air billow into a perfect pop of color, accented with elegant streamers. Balloons were fashioned into overlapping and scalloped sans serifs, streamers twisted into energetic and graceful script, a party in a box. I'm not generally a stop motion kinda girl, but my Instagram hashtag, #WendesdayWipe, required a burst of dramatic proportions. As I cleared this project with a bang, I threw out my shoulder shooting inflation frames in the name of art.